Lesněnky® drops dissolve in the mouth, refresh your breath and support the mouth hygiene. Due to contained honey and methol they have very pleasant taste. In addition they contain vitamin C and leave a toothsome taste in your mouth. 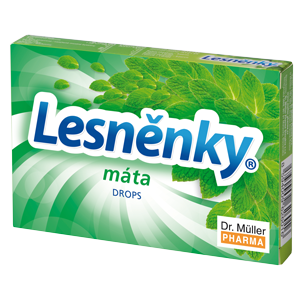 Lesněnky® mint drops – drops for refreshment of breath – mint taste. The pack contains 9 servings. 1 serving = 1 drops. 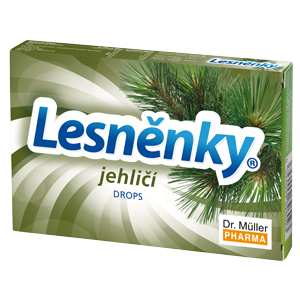 Lesněnky® fir-needle drops – drops for refreshment of breath – fir-needle taste. 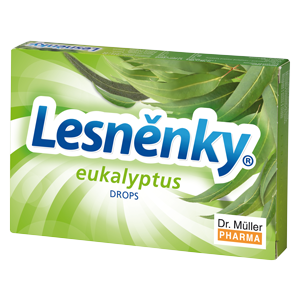 Lesněnky® Eucalyptus drops – drops for refreshment of breath – Eucalyptus taste.